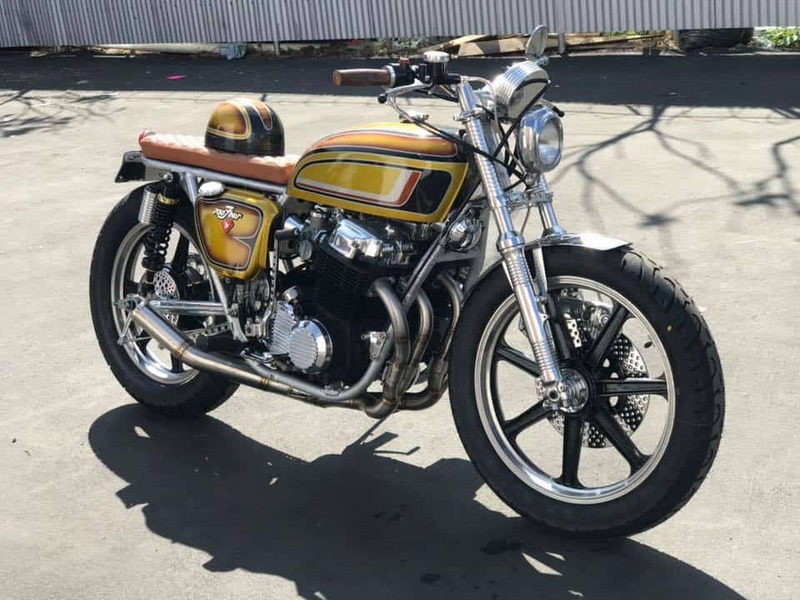 For many years this bike was left dormant and looking in a sorry state, I completely stripped this old 74 Honda and Custom worked on the frame to give it the opportunity to remove parts of the chassis if you need to get to the motor. 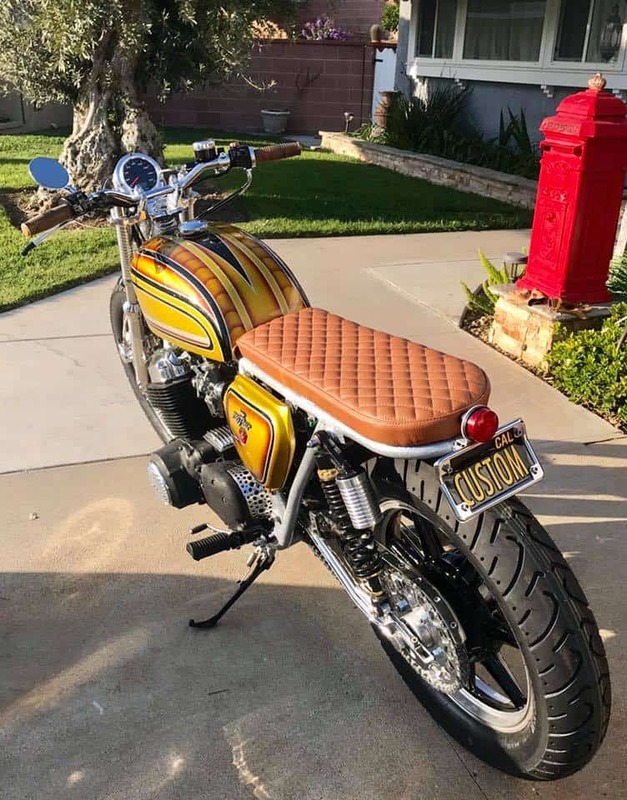 This bike is kind of a 1970’s Street Muscle Machine for the want of a better description and I am so happy I went the way of a Metalflake Silver frame and a Candy Pearl bodywork design, this screams mid 70’s and the ole 750 sounds tough as old boots. 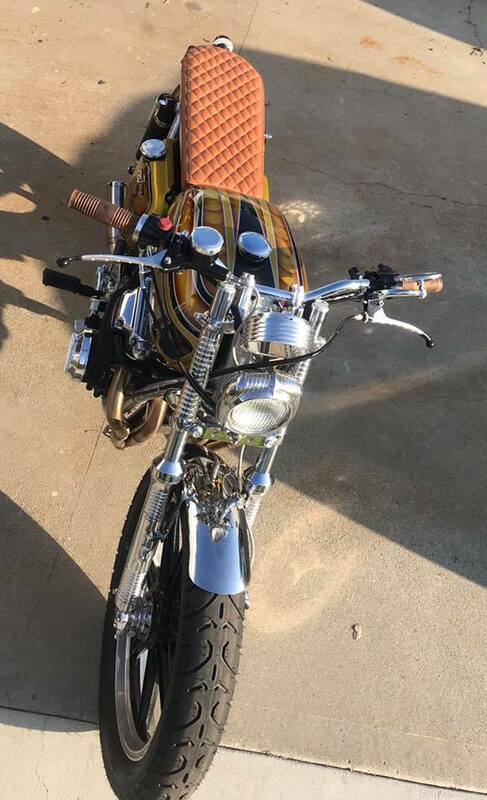 I have custom welded the gas tank and now it uses a screw in Harley cap and is smoothed over and the seat is one of the most comfortable I have made, using memory foam and expensive Quality Leather, I hand bent the handlebars and triple chromed them and the stance is bang on and really nice to ride around on , and Love this bike and am so happy at the end result. 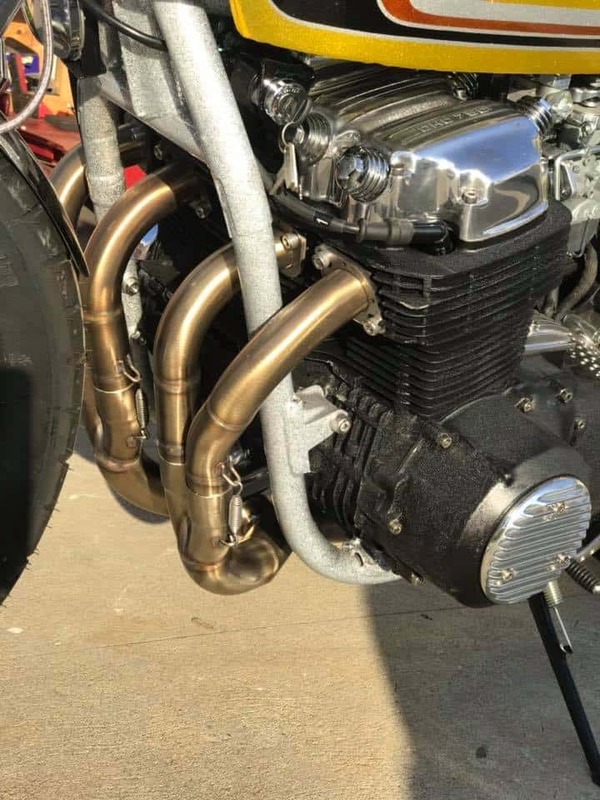 Obviously, originally belonging to the infamous Vesco Family and now they have a 428 MPG record with their Streamliner, they have shown interest in the machine once more and love the way it has turned out. 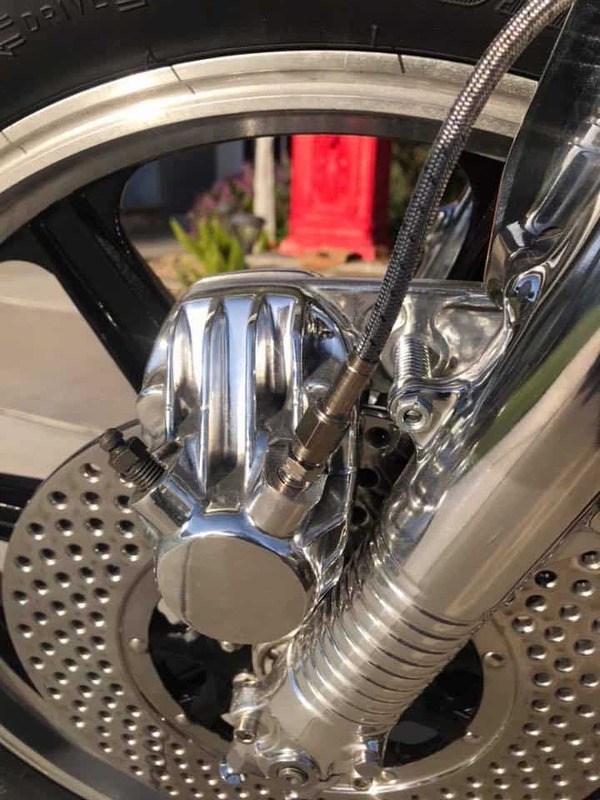 The 4 into 2 into 1 Stainless Exhaust system Growls nicely and suits the bike as the headers hug the inline four motor, it now has that old school Gold tint to the headers now she has been fired and it is a tough looking Motorcycle which ever way you look at it. 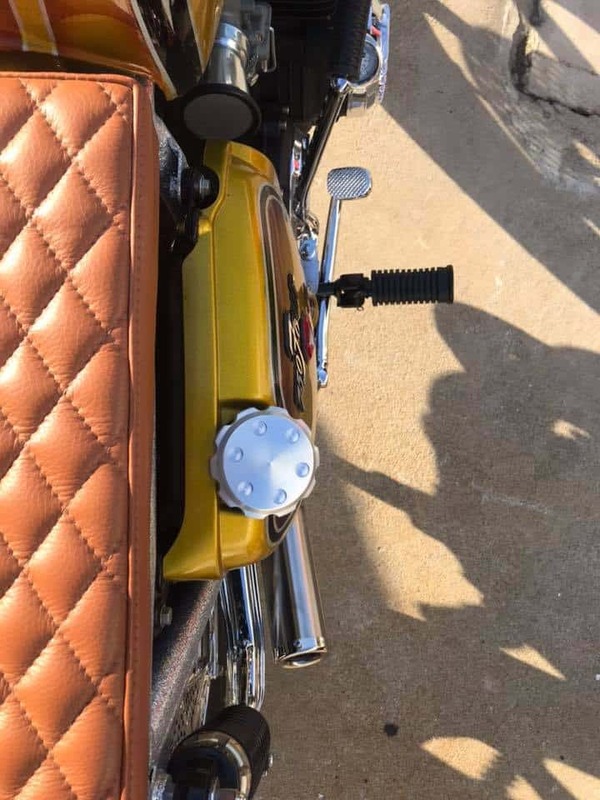 From every angle you can see detail and I am happy that I put a lot of hard work in detailing this inline Four, these sure are good solid bikes to use as a Platform for any guise of style. 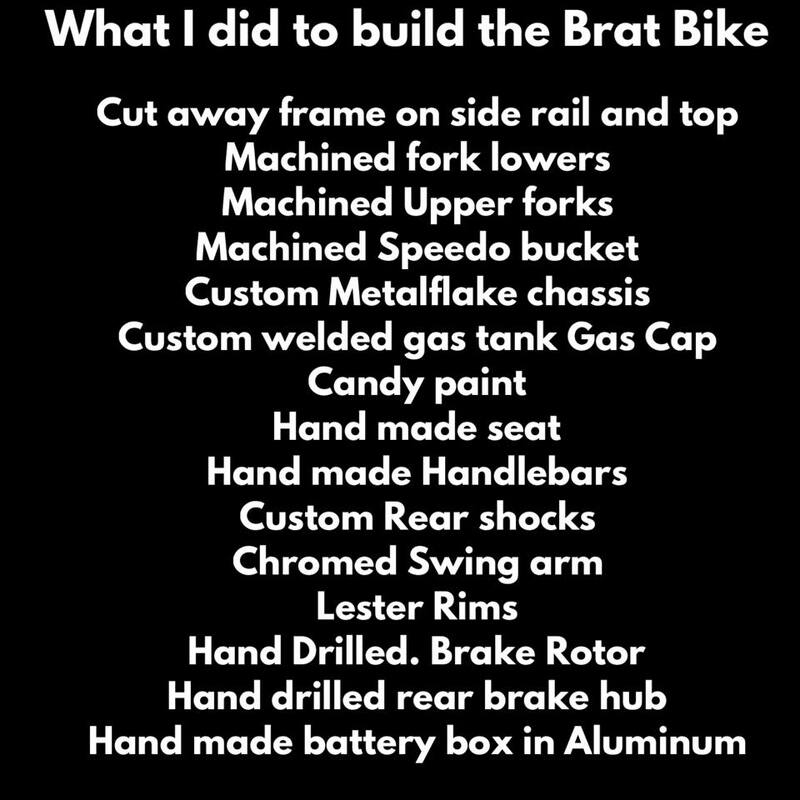 The Original Lester Spoked Rims I removed from a CR750 Race bike that was being parted out and glad I got to use them, as I have had these in storage for about 15 years and nice to re-use parts from back in the day. 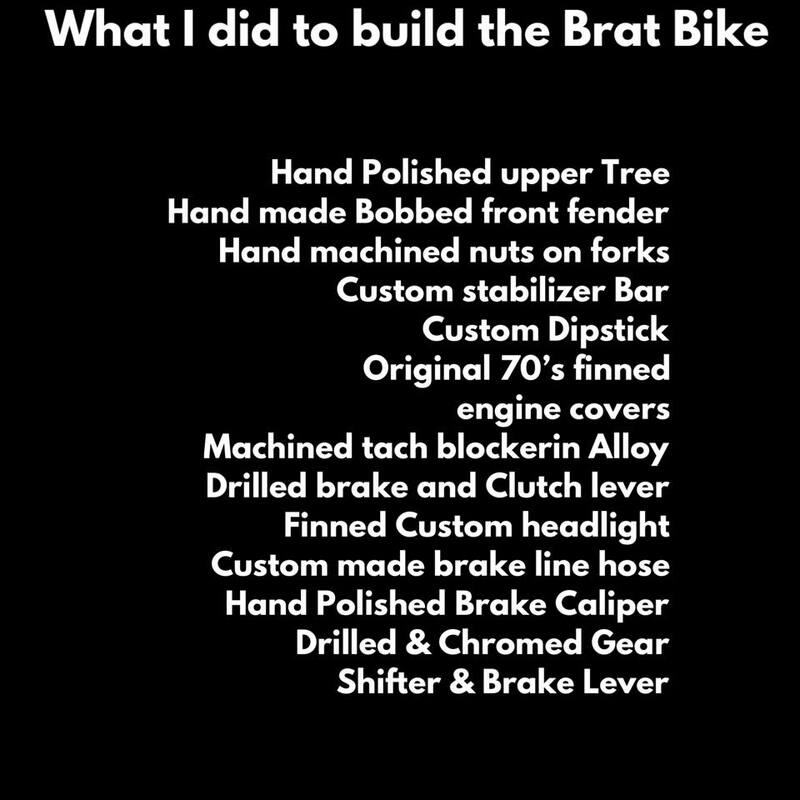 Here are just a couple of lists of some of the things I have done to this motorcycle. 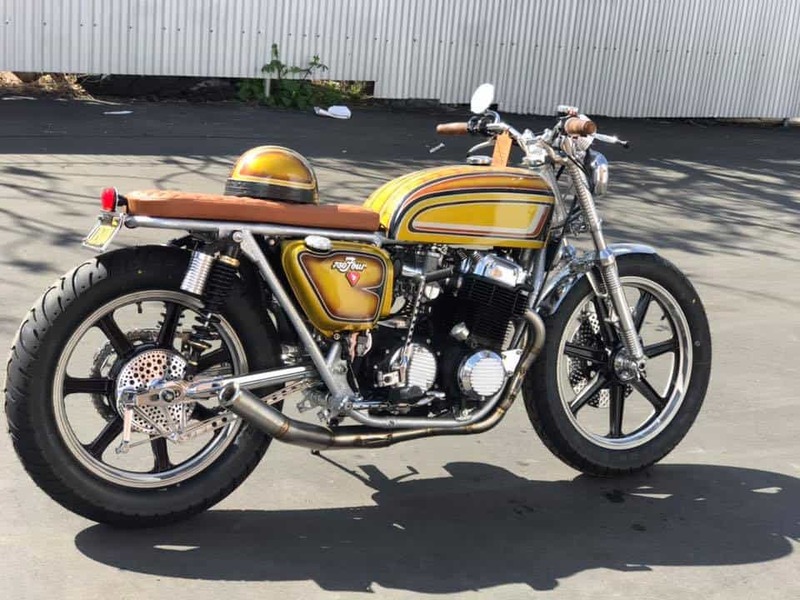 This entry was posted in Blog and tagged brat, cafe racer, candy paint, cb750, cb750k, custom, custom bike, Honda, honda four, inline four, Lester rims, metalflake, Vesco.